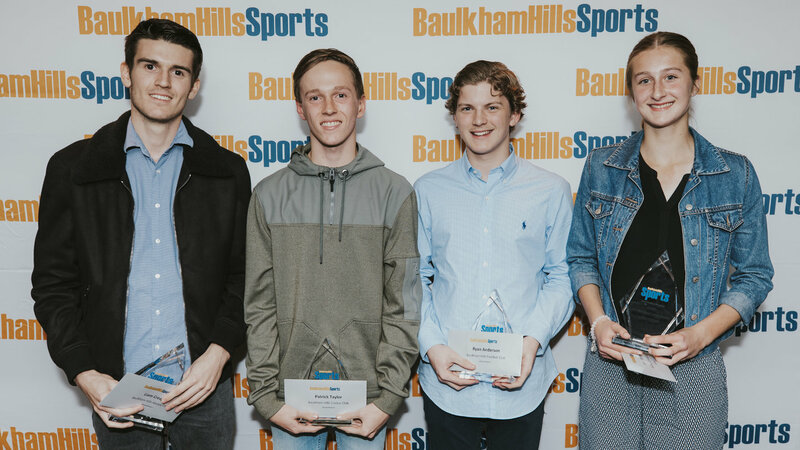 On Friday 20 July, Baulkham Hills Sports held its annual Sportsperson of the Year Awards with a special presentation dinner at the club. Representatives from all junior and senior clubs were invited to attend and help celebrate another successful year. Clubs represented on the night were; Baulkham Hills Cricket Club, Baulkham Hills Netball Club, Baulkham Hills Football Club, Baulkham Hills Tennis Club, Baulkham Hills Golf Club, Baulkham Hills Hockey Club, Baulkham Hills Women’s Hockey Club, Norwest Strikers Hockey Club and Baulkham Hills Baseball Club. The room was maroon and gold themed and guests indulged in a three-course meal. Desert was enjoyed by all which consisted of Chocolate Fondant with Rhubarb Jam and Coconut Malibu Ice-cream and Praline Caramel Cones with Tim Tam Crumble. Guests were treated to stories and insights which had a special message of trust and resilience from guest speaker Declan Stacey, Australian diver and 2018 Commonwealth Games bronze medalist from the New South Wales Institute of Sport. Baulkham Hills Cricket Club Junior Sportsperson Award winner, Patrick Taylor says he has shared many significant moments with the club. Baulkham Hills Cricket Club Senior Sportsperson Award winner, Joshua Mann says his favourite aspect of the club is the strong community feel. Baulkham Hills Cricket Club President, Chris Springall says that Patrick and Joshua deserved to be recognised for their contributions to the club. Baulkham Hills Football Club Junior Sportsperson Award winner, Ryan Anderson says his greatest achievement has been coaching a junior team. Baulkham Hills Football Club Senior Sportsperson Award winner, Keith Pierce says he volunteers his time to the club because he is happy to help out in any way he can. Baulkham Hills Netball Club Junior Sportsperson Award winner, Ashlee Shimmon says one day she would like to coach a junior team to give back to the club. Baulkham Hills Netball Club President, Lorraine Everitt says Ashlee has the ability to develop into an excellent netballer and has the attributes required for a Junior Coach. Congratulations to all of our award winners. Keep up the great work!